You might want to take a look at my hybrized orbital preview program. I currently don't have time to include detailed descriptions about what the program does. So I instead offer few screenshots and a flash movie. 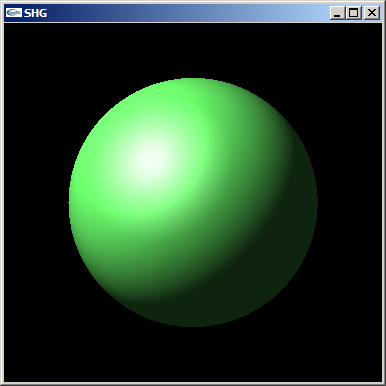 v0.0.14 source tarball, 10KB and v0.0.14 source zip, 12KB; adds support for building under Linux with Nvidia development libraries and FreeGLUT. There is a screenshot taken on Ubuntu at the bottom of the page. 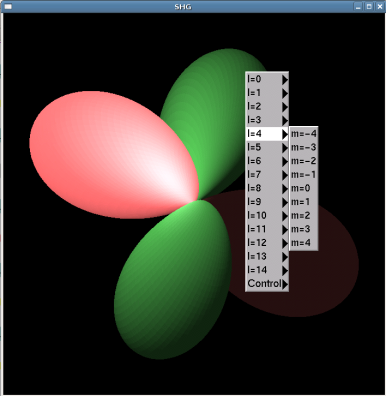 This version also fixes one z-buffer bug, which only became visible on Linux. Source v0.0.13 (10KB, ZIP); adds support for building in MacOS. Big thanks David Yoo for writing Makefile.osx. Source v0.0.12 (10KB, ZIP); first public release. 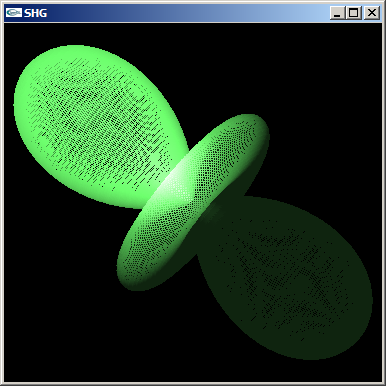 I highly recommend reading article on spherical harmonics at Wikipedia. 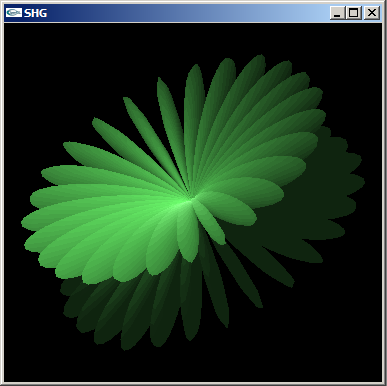 As of now, I have succesfully tested program on Microsoft Windows(tm) and Linux (though with NVIDIA OpenGL development libraries). 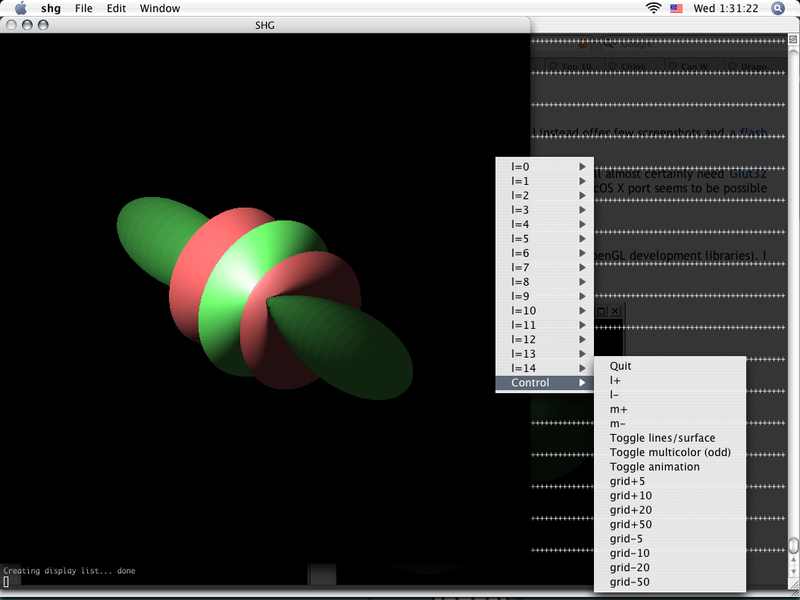 Since 0.0.13 it runs on MacOS X too. 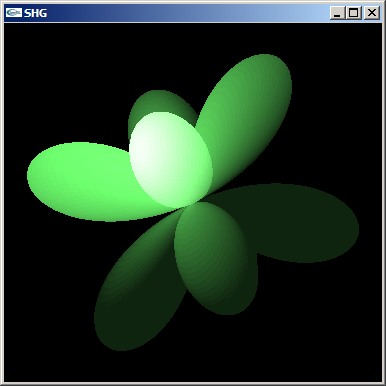 Theorically it should run anywhere OpenGL and GLUT are available. If you have any updates, mail me. Thanks! 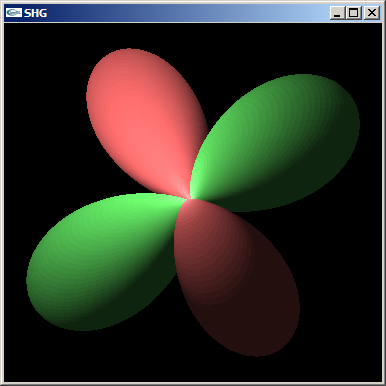 This program uses GLT ZPR (Zoom, Pan and Rotate) by Nigel Stewart. Thanks him a lot! 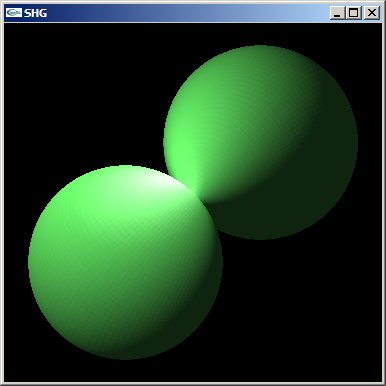 shg under Ubuntu, built using Nvidia libraries and FreeGLUT.